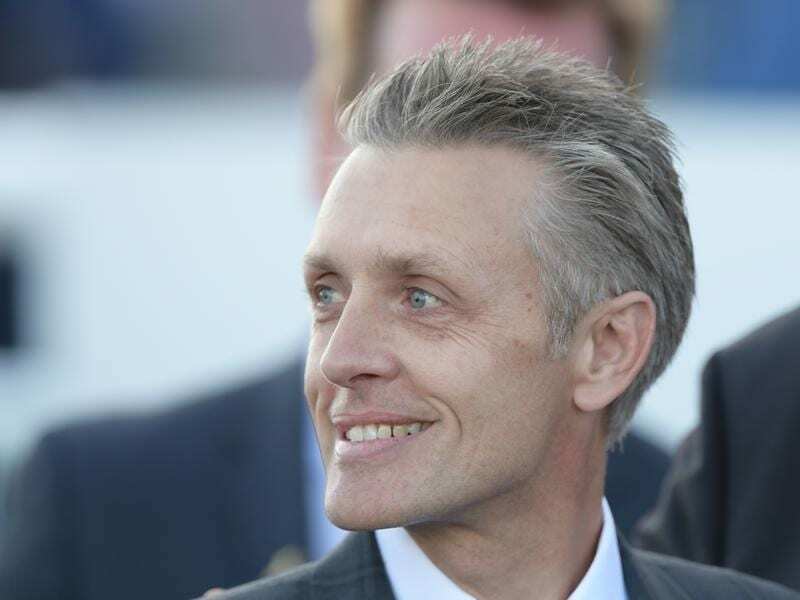 Trainer Mark Newnham is looking forward to seeing how his 2yos measure up at Rosehill. Trainer Mark Newnham will saddle up live chances in the two juvenile races at Rosehill and is under no illusions about the task his pair face. With the Golden Slipper just seven weeks away, Newnham says the cream of the two-year-old crop is starting to rise to the top and he is hoping to have a couple among them. “You can notice the difference in the two-year-old races, even the trials, in the last few weeks,” Newnham said. “Everybody has got their best two-year-olds running now so every Saturday these are horses who are going to be aimed at the Blue Diamond, the Golden Slipper, the Inglis Millennium. Exceed The Stars resumes for Newnham in the Canonbury Stakes having finished midfield in the Breeders’ Plate last spring off a wide run. He was slated for a Magic Millions campaign but those plans were abandoned when he had a setback and Newnham was happy to see the colt back on track at the barrier trials last week when he finished second to unbeaten youngster Time To Reign. Exceed The Stars is second favourite at $3.10 with Canonbury betting dominated by the Team Snowden-trained McLaren who in unbeaten in three barrier trials. Newnham is wary of the debutant but he isn’t running scared. “Obviously, the Snowdens’ two-year-old trialled very well but my bloke has done that a couple of times before his first start and yet he made a mistake coming out of the gates,” Newnham said. “That’s the difference, they’ve got to take their trial form to race day. Exceed The Stars will wear blinkers for the first time on Saturday, as will stablemate Blazing Miss when she tackles the Widden Stakes (1100m) for the fillies. While many youngsters struggle to cope with their initial campaign of racing, Blazing Miss will be lining up for her fourth start and Newnham has not ruled out backing her up in Saturday week’s Inglis Millennium if she performs well at Rosehill. “She just works, sleeps, eats,” Newnham said.